Target youth/women, farmers, dropout students, illiterate and assure them jobs in the industry. Skill is very important in every profession and sometimes a little training can reap benefits for the reciever. 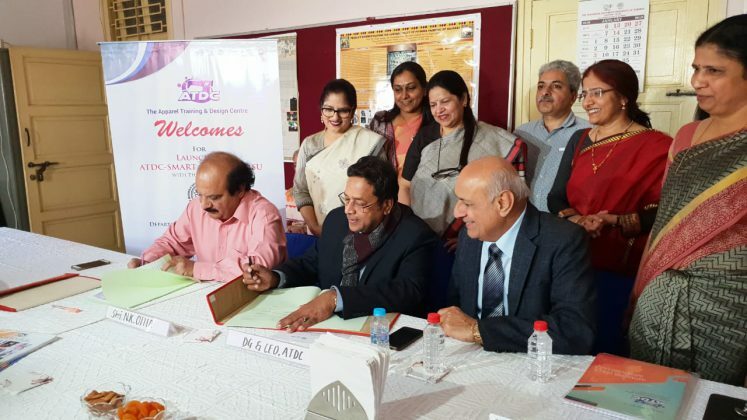 With such an aim Maharaja Sayajirao University of Baroda, Vadodara (MSU) signed a Memorandum of understanding (MOU) with Apparel Training and Design Centre (ATDC) to push the skill development in the faculty. 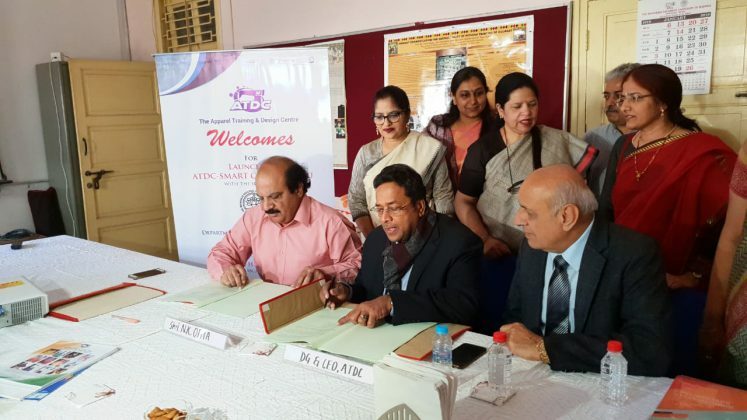 The agreement was signed by Dr. Darlie Koshy – DG and CEO of ATDC, Gurgram and N.K. 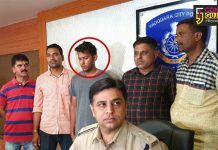 Ojha Incharge Registrar MSU Baroda. The aim to open the soft training centre in the MSU is to impart quality vocational skill training in the apparel sector for under employed and unemployed youth/women, farmers, dropout students, illiterate and other disadvantaged sections of the society. The MOU will give the students a added advantage in skill development training in Apparel sector and assure a job in the industry after completing the course. 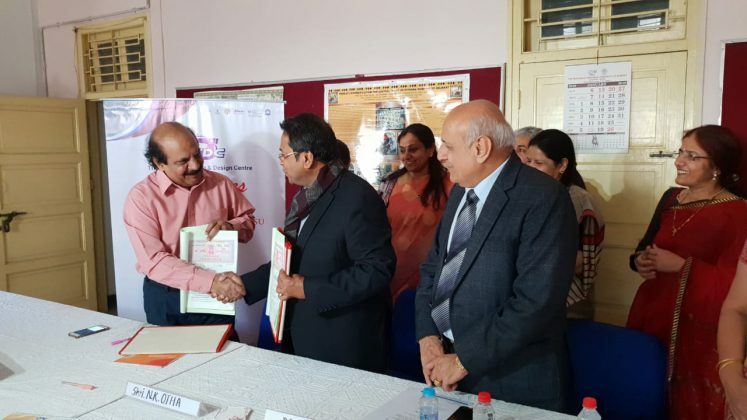 The MoU between the two envisaged as a collaborative agreement for implementing a pilot project for imparting quality vocational skill training in the apparel sector for under employed & unemployed youth/women and other disadvantaged sections of the society. 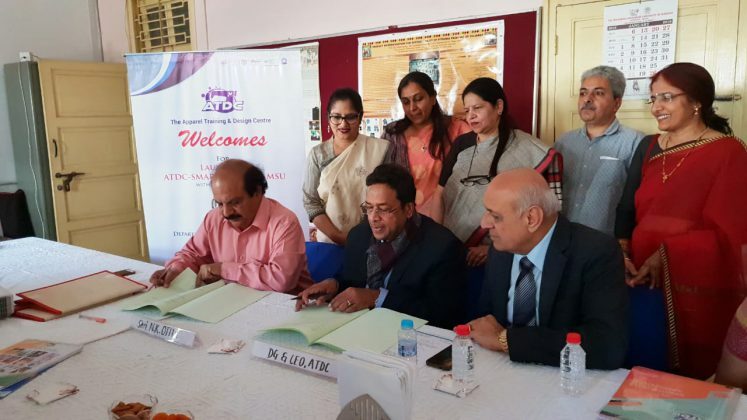 CT (MSU) and ATDC will also collaborate for industry placement tie-ups, ATDC-IAM CE programmes for the final year of Graduate and Post Graduate students of Clothing and Textiles Dept. 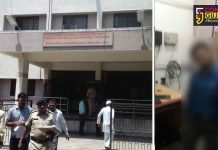 and programmes under the department, support in recruiting quality faculty for ATDC Gujarat and other States. 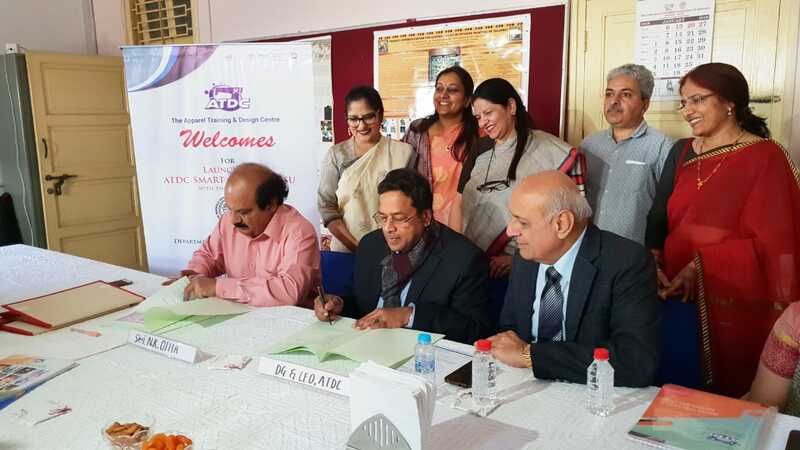 “ATDC will initially undertake skill development programme under Gujarat Urban Livelihood Mission (GULM) at ATDC- SMART centre at MSU with the aim to provide industry specific and self employment oriented technical skills. This would have added soft and life skills for career advancement and building endurance for working in an industry. The commencement of Basic Sewing Operator session of 300 hours is scheduled in the second week of February 2019. We are targeting farmers, dropout students and even illiterates to join the course and become a qualified tailor to get a decent salary job in factory and industries, ” said H.K.L. Magu Chairman APEC and ATDC. The CT (MSU) ATDC collaboration will take forward the skills to next level with academic and industry working closely to generate skilled workforce and employment. 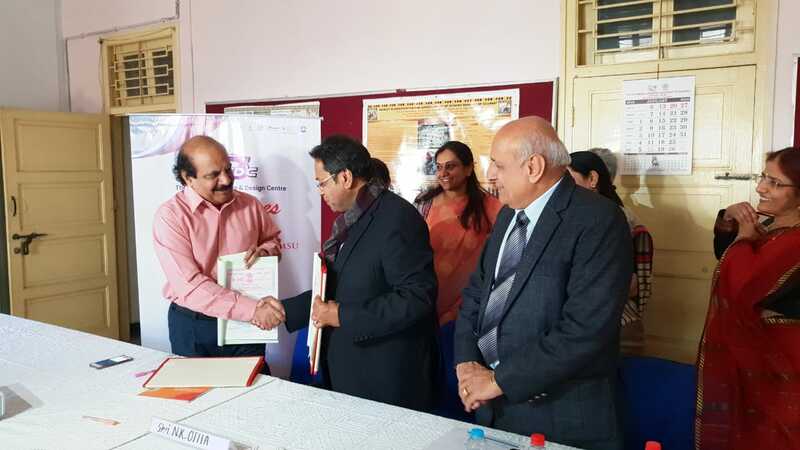 The talks for this tie-up was initiated between the representatives of ATDC (Pulak Lahiri) and MSU (Dr. Reena Bhatia) during the last Education Fair in first week of February 2018 at Ahmedabad, and in 2019 it has finally taken shape. 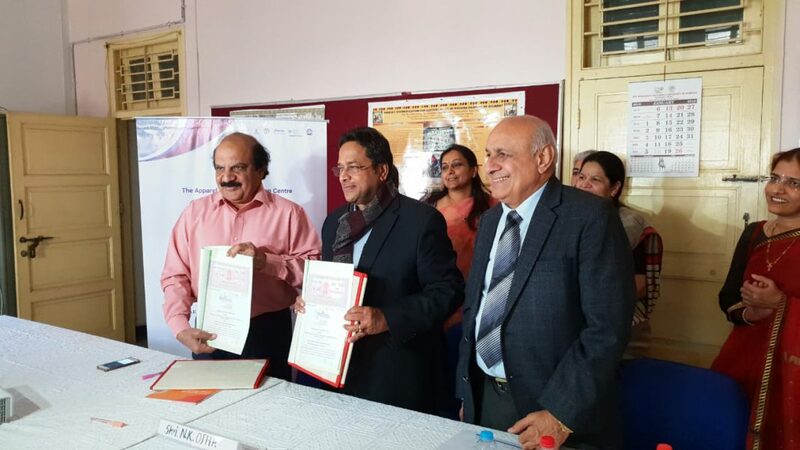 The soft launch of the Smart ATDC centre at MSU and Signing of the MoU will take place in the presence of Prof. (Dr.) Uma Iyer, Director – Management Development Centre of MSU, H.K.L. Magu – Chairman ATDC and AEPC (Apparel Export Production Council – an industry council) and Neera Singh Parihar – Registrar (Training and Projects) from the National Head Office, Gurugram (Gurgaon).